Under the supervision of UBC’s Nina von Keyserlingk, Eugenia Kwok, an undergraduate in the Faculty of Land and Food Systems Applied Animal Biology Program, applied for a MITACS undergraduate research grant to work this summer with Dr Carla Molento, Laboratório de Bem-estar Animal, Division of Agricultural Sciences, Universidade Federal do Parana. 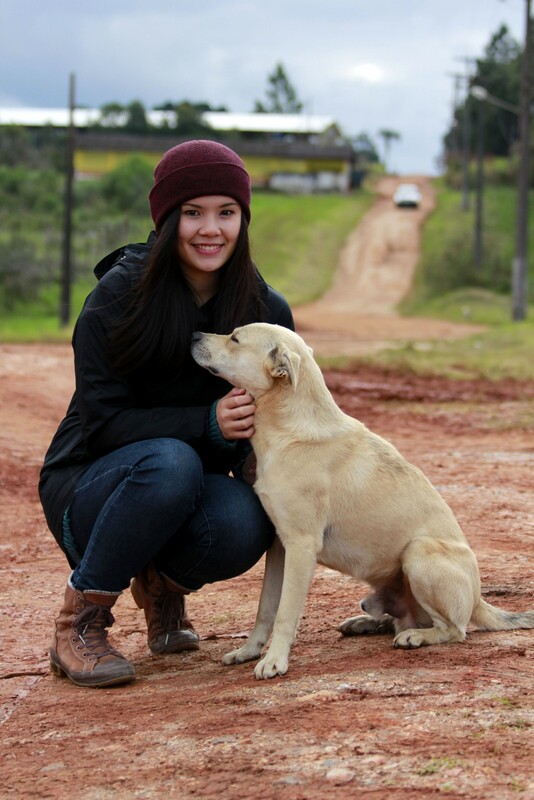 Eugenia will spend the summer working on a project entitled “Assessing the incidents of positive and negative behaviour and interaction between stray dogs and the community of Campo Largo, Brazil”. While these animals are collectively cared for by community members, community dogs seem to maintain casual relationships with people and lack true owners or guardians. Currently, very little is known about the daily activities of these stray dogs or the types of interactions that they encounter with humans and other dogs in their area. Eugenia hopes that her work will contribute valuable information that can improve population management of these community dogs without jeopardizing animal welfare.